Everyone who has paid any attention to the news lately knows that there is a high-stakes dispute between the United States and Iran currently unfolding on the world stage. After unilaterally withdrawing from the Joint Comprehensive Plan of Action, otherwise knows as the Iran nuclear deal or Iran deal, which was designed to prevent Tehran from acquiring nuclear weapons, the US has re-imposed tough economic sanctions on Iran. What many people may not know is how The Hague fits in. 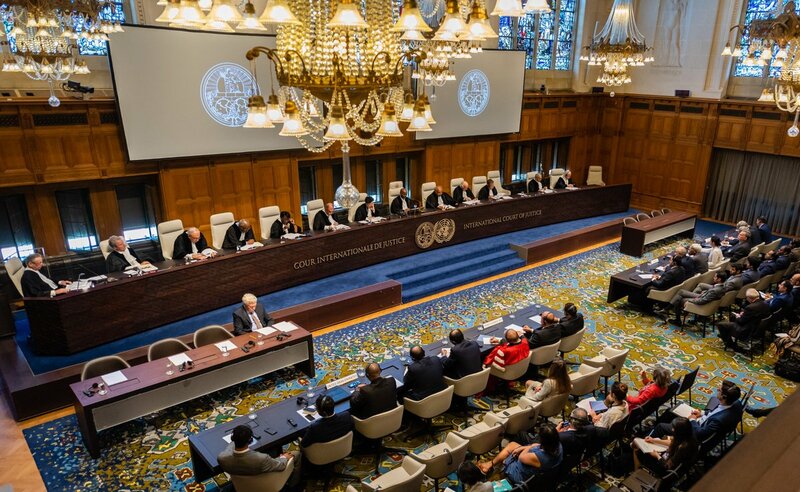 From 27 to 30 August 2018 the United Nations highest court, the International Court of Justice (ICJ), will hear arguments about a case Iran has filed challenging the imposition of sanctions. This is the first instalment in a three-part series that will take a deep dive into the titanic legal battle that is about to take place in The Hague. 1. What should we expect from the United States at a court like the ICJ? The US has previously been an active participant in cases before the ICJ and has a permanent judge sitting on the Court, so it would be surprising if it refused to take part in proceedings. But, long-term, the US mostly follows ‘exceptionalism’ in its foreign policy, seeing itself both different from other states and in a leadership role. Generally, as long as an international mechanism, including the ICJ, serves the national interests of the US, it will be supported. But if the US sees an adversarial attitude from an international organization, or sees it as a threat, it withdraws or delegitimizes. 2. And the current administration in Washington isn’t very friendly to international bodies, is it? The Trump administration has proved enthusiastic in leaving international treaties, agreements and organizations that it perceives as opposing US demands or interests, such as the Paris Accord on Climate Change, the UN’s cultural body UNESCO and the Iranian Nuclear Deal. The current case before the ICJ could face such an unhappy fate. The US could terminate the Amity Treaty and adopt an adversarial attitude to the ICJ. But if the US spoils this legal game by not playing by the rules, US sanctions will lose a lot of their legitimacy. And Tehran could claim, at least, a moral victory. 3. So is there any hope that legal methods will be accepted? Given the history of the Iran and US conflict in The Hague, the current case could produce another result, namely, direct negotiation between Iran and the US leading to an agreement outside of the Court. In both the other cases which started at the ICJ: the United States Diplomatic and Consular Staff in Tehran (1979), (United States of America v. Iran) and Aerial Incident of 3 July 1988 (Islamic Republic of Iran v. United States of America), Iran and the US were waging lawfare against each other, but then started negotiations that result in agreements that put an end to proceedings before the ICJ. 4. Negotiations you say. Isn’t that what Trump’s tweets seem to be all about – telling the Iranians he wants to negotiate? These days political circumstances fuel the speculation that Iran and the US may have serious negotiations. Although it’s not exactly lawfare, it is imaginable that the current legal battle in The Hague facilitates an agreement between Iran and the US outside of the Court. For a lawyer though, victory in the Court is would be more glorious. This is an explainer on what the possible consequences could be of the hearings at the International Court of Justice this month in relation to the dispute between the United States and Iran. Click here for Part 1 on how The Hague is involved in the dispute between the United States and Iran over the so-called Iran nuclear deal and here for Part 2 on how the International Court of Justice works. The opinions expressed here are those of the author and do not necessarily reflect Justice Hub’s position on the issues discussed. 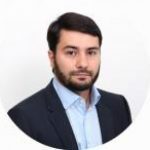 Mohammad Hadi Zakerhossein holds a master in criminal law from Tehran University. He conducted his PhD research at Tilburg University.